Parfums Divine L’Infante is a delicate floral perfume that is quaint and lovely like a country English cottage covered in ivy. The cool florals, crisp greens, and powdery vanilla make L’Infante an easy to wear powdery floral even during summer heat. I would say that L’Infante is “soft”. I spilled about half the tester vial on myself and I wasn’t overwhelmed. The opening is pretty, powdery peony entwined with wild ivy greenness. There’s a thickness to L’Infante, like densely growing ivy. This ivy accord gives a sense of green cleanness, in a way reminding me of lily of the valley. I love ivy as a perfume note and I’m always surprised that it is used rarely. Eventually the delicate dewy blossoms and greens are mixed with heliotrope like vanilla powderiness, mimosa, and soft musk. The vibe of L’Infante is innocent, delicate. The dry-down is sweet and powdery with traces of floral. L’Infante reminds me of Impressionism, especially Monet’s paintings of water gardens. All of the edges of L’Infante are soft focused and blurry. I feel the floral coolness, like lilies floating on water, and there’s a gentle breeze. But, there is a thickness like the paint used by Monet, the application. L’Infante is delicate but it is no watercolor. L’Infante is long wearing but it wears closely. It isn’t a very “me” because it is so kind and delicate, a petite and fair fragrance, and I usually go for big, loud, and obnoxious. At first, I didn’t like L’Infante because it is so gentle to the point of being maternal, but now I “get” it. L’Infante is “sheer” but not as much as Annick Goutal Eau de Camille. I see AG Eau de Camille as the daughter and Divine L’Infante as the mother. If you are going for a floral ivy, feminine floral, or a powdery mimosa, don’t waste your time. Try L’Infante first. 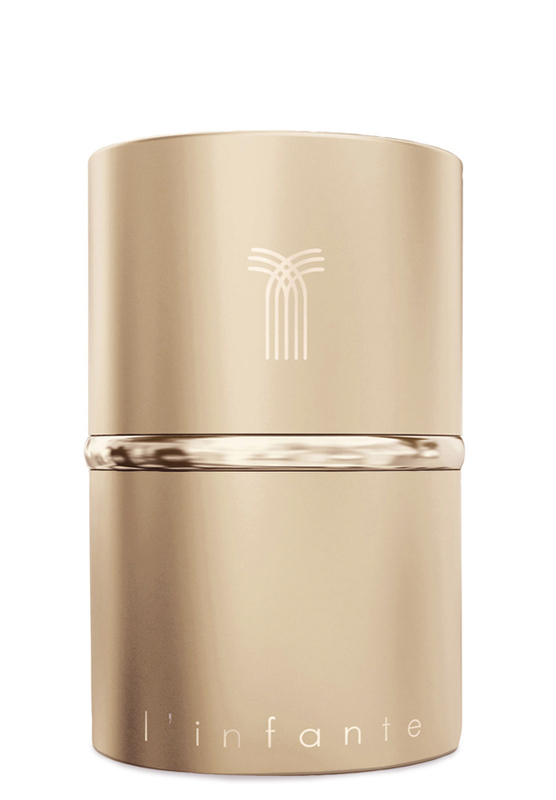 Notes listed include Chinese jasmine, peony, blackcurrant leaves, ivy, ambergris, vanilla, musk, and tonka bean. Give L’Infante a try if you like feminine, sheer florals, especially mimosa florals, or perfume like Penhaligon’s Artemesia, Victoria’s Secret Dream Angels Desire, Yves Rocher Pivione, Malle L’Eau d’Hiver, Annick Goutal Eau de Camille, L’Occitane Jasmine, and/or L’Artisan Mimosa Pour Moi. The 1.7 oz retails for $120 and is available at Lucky Scent. Product picture from Lucky Scent. 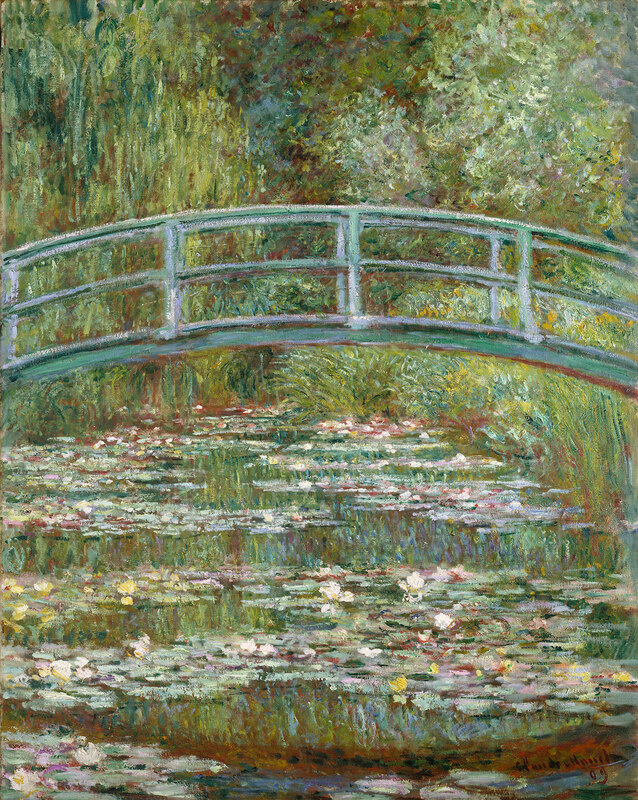 Claude Monet, 1899, “Bridge Over a Pond of Water Lilies” from The Met. I really liked the parallel between the perfume and Monet. And now I want to try it – only because of the visuals (well, review is good as well it’s just that in general the perfume doesn’t sound like something I would love). This isn’t a “me” fragrance but it is well done. I can see it working for certain people, especially those that like Annick Goutal and some L’Artisan. The fragrance really does remind me of Monet. It’s that “pretty” imagery but with some thickness, like the technique, blurry but thick, and like dense ivy. Your description of the greens & the flowers, and the dense, thick quality is dead on. It is really emphasized when it is sprayed vs dabbed. I found an atomizer of this yesterday- swapped away the bottle last year. It was too heavy for me to wear! If Divine L’Infante is sprayed, it has sillage and is heavy. Dabbing was the only way I could wear it, it was too “big” for me. But- very pretty. Divine is a lovely line of perfumes. It is heavy. Not in a bad way but in a way that makes the perfume wear you. It’s lovely but it isn’t for everyone (I’d say that about the entire line). I do love the line. It’s so “French perfume”. Previous Post What’s On Your Spring/Summer Perfume Wishlist?